So, you got a fancy job at a high end bank or maybe at a Fortune 500 company. There are security guards at every entrance, top of the line security system that’s monitored by a police station. Nothing to worry about, right? Wrong. Any business could be the target of a burglary or an active shooter, and it’s important to prepare your office staff for the worst case scenario. Which Business Types are Targets? Financial Institutions like banks, local lenders, or even bail bond locations are some of the most frequented targets for active shooters. More often than not, the shooter targeting your establishment has a goal in mind, and it’s up to you to ensure that your people are prepared. It’s important to understand that even the most wealthy institutions can have a target on their back. Technology companies are the most up and coming form of business out there. In fact, there are hundreds of thousands of tech companies all around the world, which makes them an ideal target for an active shooter. Take the YouTube shooting for example. Many of the building layouts for tech companies make it difficult for an active shooter, but that doesn’t mean that it’ll make you or your employees safe. As heartbreaking as it is, some people feel the need to attack institutions who are dedicated to making the world a better place. Schools, hospitals, mental health care facilities, and even elderly homes are unfortunately the easiest targets. These shooters are usually motivated by grief or feeling like they or someone they love has been wronged somehow, and the targets are those who are receiving care or treatment from the facility. Ensuring that your staff is capable and competent enough to take care of those who use your facilities is incredibly important. It’s also important to recognize that these are not the only targets for active shooters. Unfortunately, nowhere is completely safe. Regardless of where you work, it’s important to make sure that your employees are ready for a worst-case scenario. 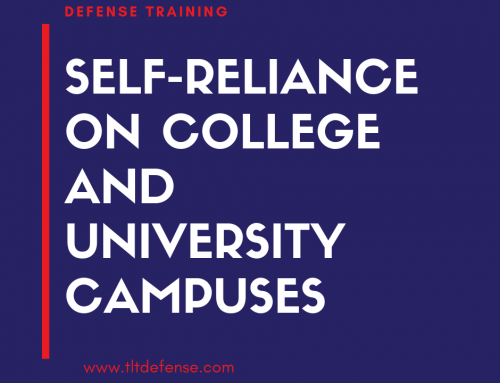 However, like with any “gloom and doom” warning, there’s always a light at the end of the tunnel, and with every active shooter out there, there’s dozens of training’s to get you ready for it. First things first, you need to have a sit-down conversation with your staff in leadership positions and assign them roles in the event of an active shooter. Sit down with them in small groups, and don’t allow any distractions during the meeting, like cell-phones, smart watches, or laptops. People tend to blow off active shooter training, so taking away any distractions will be important to keep their focus. There needs to be someone (or multiple people) dedicated to contacting 911 in the event of an emergency. This goes beyond active shooters. There could be a fire, sudden flooding, or a medical emergency. You should consider training on how to best inform and aid police and law enforcement if they can’t get to a phone. There are options out there like stickers on windows, hanging a sheet out a window or off the roof. You can also have directional signs put up around the building or keep supplies stashed in safe rooms for your team leads to contact the authorities. When it comes to a nine to five job, we tend to notice if things are different around us. We remember the faces we pass by every day, the mailman, even the companies who are contracted in for repairs. You need to train employees to watch for suspicious people in and around the area that don’t fit the “norm” of their routine. 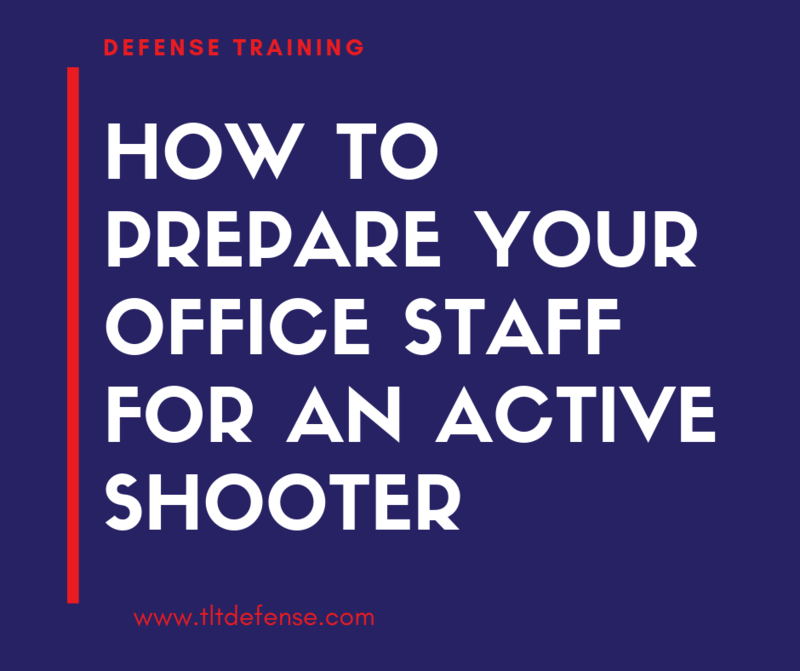 Along with training and having a conversation about an active shooter possibility, you need to run through exit and escape strategies with team members and people in your office area. Take your team leads and get them ready to help the other employees find the safest exit strategies. Your employees don’t spend time only in their cubicle. They probably go to a cafeteria for lunch or hang out in the break room. You need to discuss these plans based on where you spend time: office cafeteria, conference rooms, different floors in the building, etc. Employees have certain needs from their place of business and business owners need to consider insurance and safety protocols to protect themselves in emergencies — particularly when people can sue for injuries at work, as well as for shooters. Finally, for all your follow up training, take some of these study questions into consideration. Putting these out there for open discussion with your employee’s could be an opportunity to build trust in each other’s abilities. What paths do most shooters take? What is the main purpose of that shooter? Money, people, power? Understanding that a shooter will likely commit suicide if they learn that law enforcement is coming. What parts of the building undergo heavy foot traffic? What office supplies could be used as weapons to protect themselves? Who will react the best under the stress of a shooter? We know that terrible things happen every day across the globe. That doesn’t mean your employees have to be victims of the same fate. If they know how to respond and not freeze if the event happens, everyone will be much safer for it. So take the time needed to save lives. Take action instead of reacting to a traumatic event.